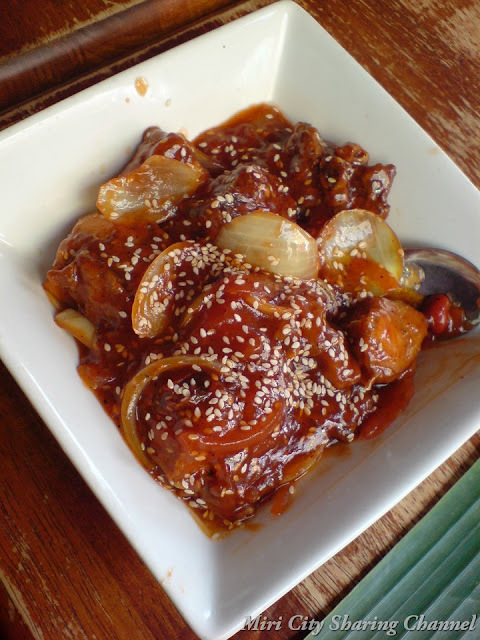 In Miri, if you love Indian food, then Banana Leaf Rice Restaurant & Cafe can be your choice. We had a lunch here.Located at Centre Point, you can try the meal over there. At that moment, Fish Head Curry is also available. 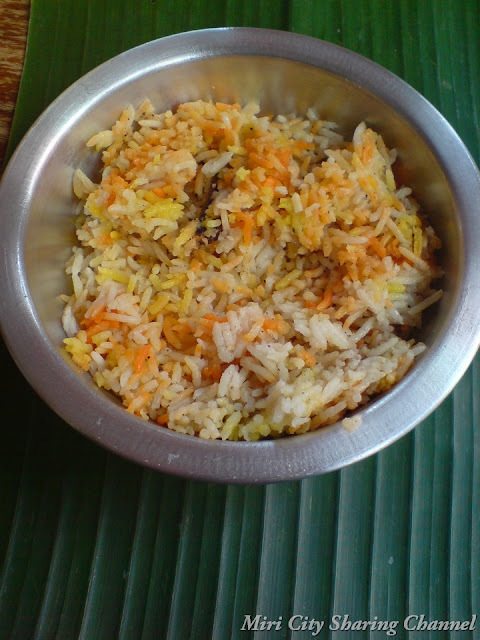 “Banana leaf rice is a typical dish in South Indian cuisine. In banana leaf rice, white rice (or parboiled rice in authentic South Indian restaurants) is served on a banana leaf with an assortment of vegetables, curried meat or fish, pickles, and/or papadum. 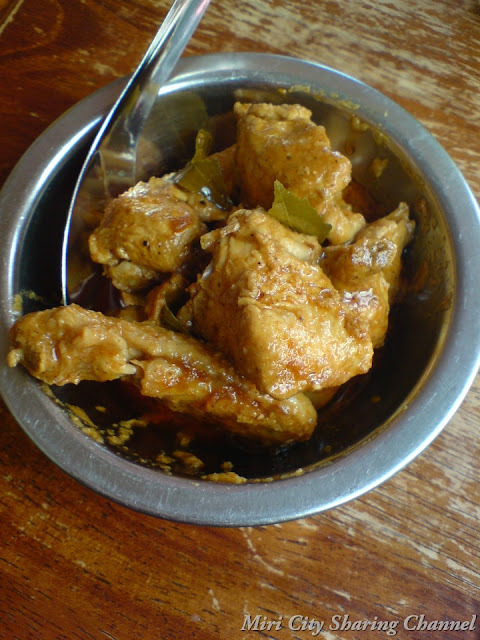 Most of the time, however, only the gravy of the curry will be served and no meat is served as it is meant to be a traditional Indian vegetarian dish. 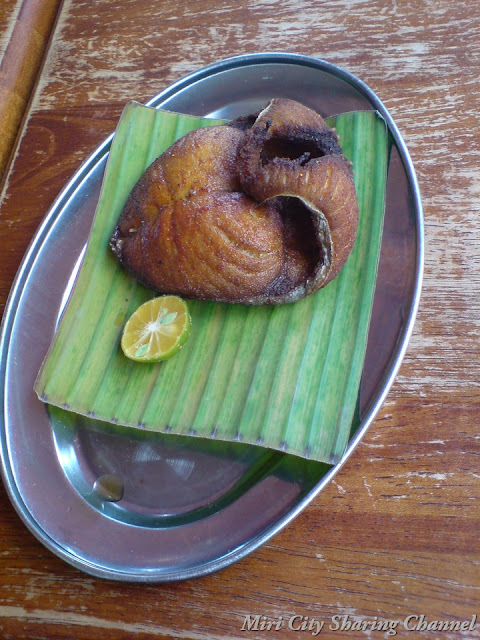 It is traditionally eaten with the hand. 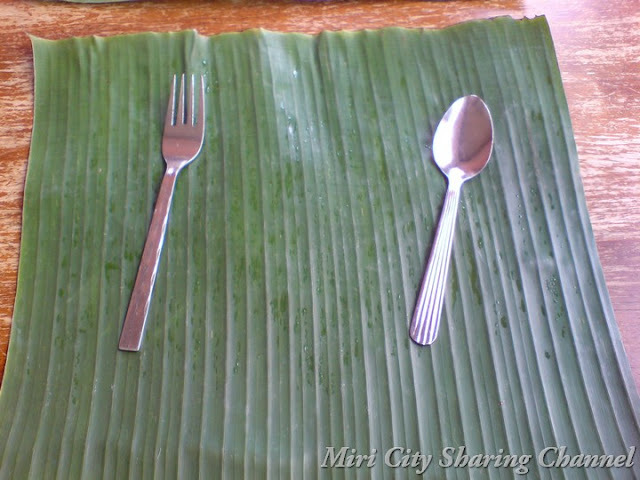 Before that, we didn’t even know that banana leaves come with properties that helps in digestion. We ordered the Briyani rice. Eat your rice on the banana leaf. 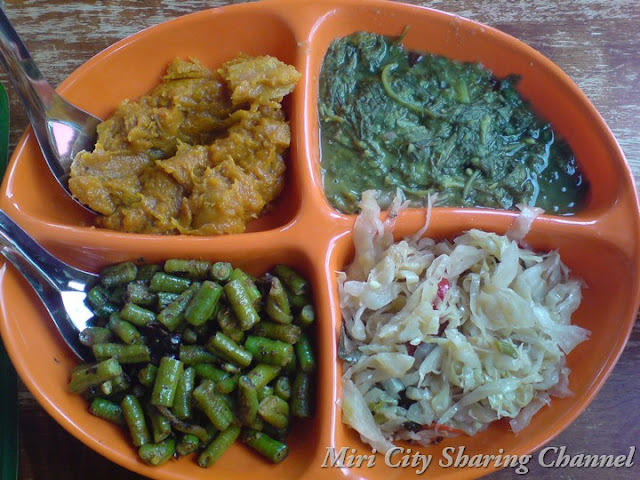 After that, a waiter came to us with metal containers, serving us 4 types of vegetables (Cabbage, Long beans, Spinach, …). 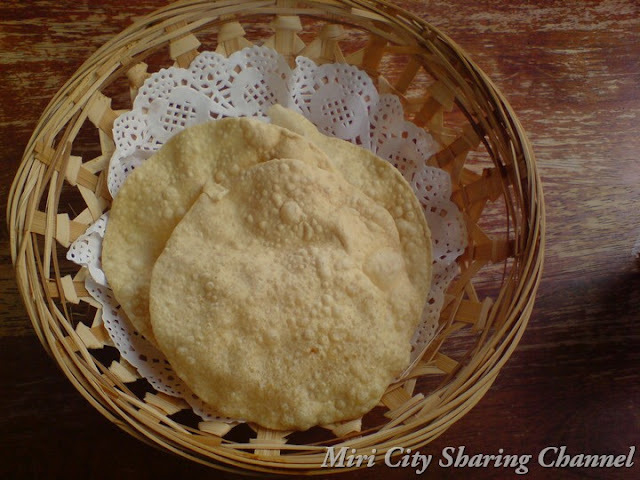 Finally, try to put a piece of Papadum on your rice, the taste is not bad. 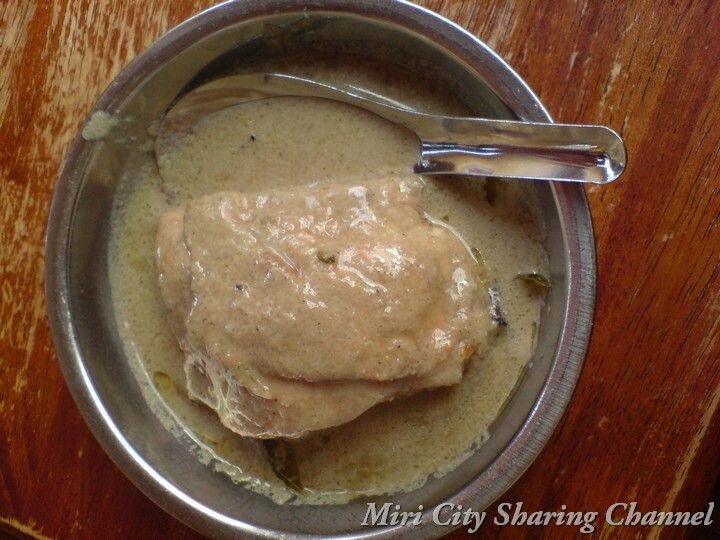 When you come here, don’t forget to order a glass of milky lassi with your meal. 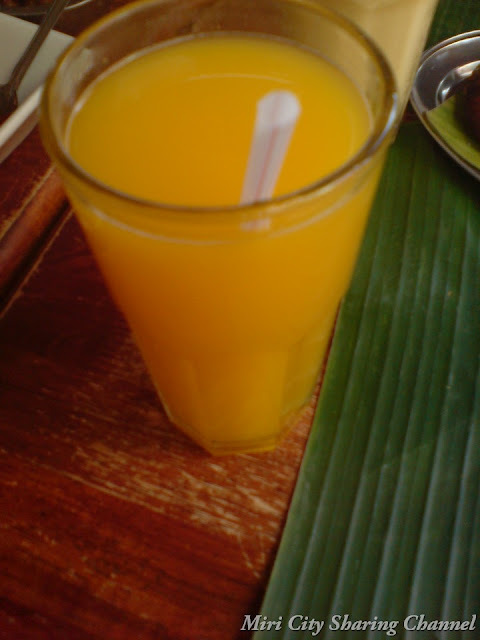 There are different flavours to choose from: Plain, Orange, Carrot, Apple, Mango, Peach, Water Melon, Pineapple, the one in the picture is Peach lassi. 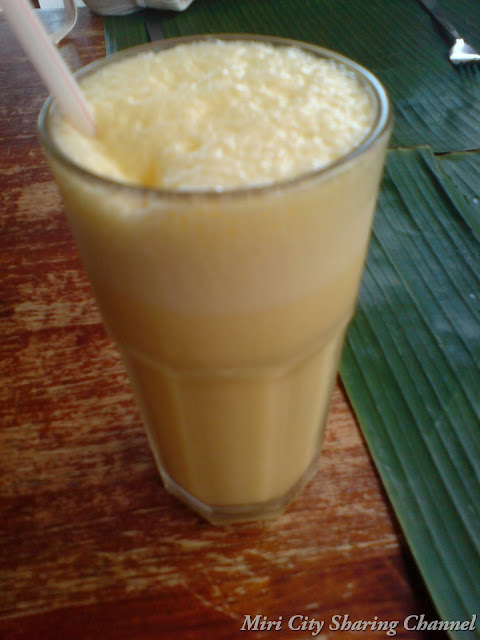 Lassi is a traditional Punjabi drink of the Indian. The taste is actually yogurt-based drink. 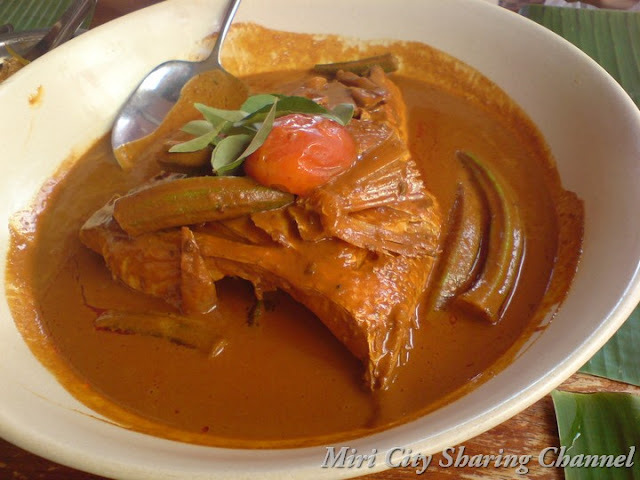 Fish head curry with the head of an Ikan Merah (Red fish), with assorted vegetables cooked in a curry, so delicious with served with rice. The lunch we had that day was really good probably because the restaurant applied the spices right in all their dishes. Looking forward to go back to the restaurant to try out another meal again. Nice & Clean Place with Delicious Indian Food. Good Service & Friendly owner. 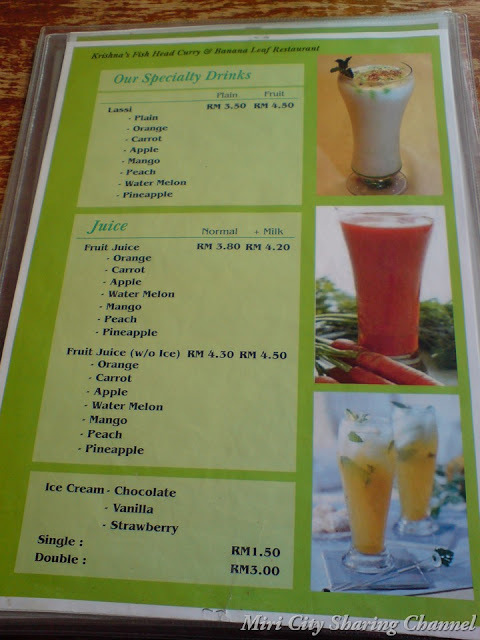 I'm a Student from Smk.Saint.Columba and yes, me and my friends always eat here for lunch.